dance.net - Yellow and black Taylor dress, suitable for prelim/intermediate 10/12 year old (10240159) - Read article: Ballet, Jazz, Modern, Hip Hop, Tap, Irish, Disco, Twirling, Cheer: Photos, Chat, Games, Jobs, Events! 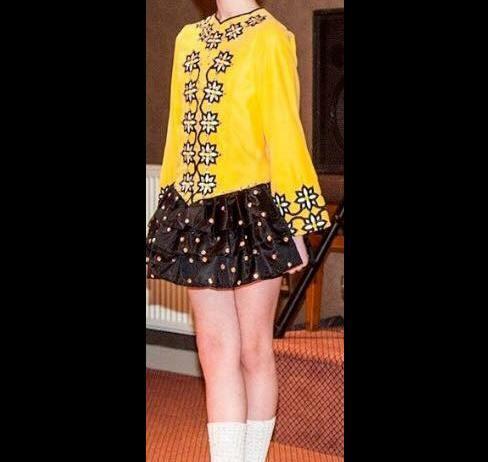 Lovely wee yellow and black Taylor dress for sale, would suit between age 9-12 depending on size. Worn by a petite 11 year old. Â£140 or nearest offer. Located in Northern Ireland. 27â�³ chest, 26â�³ waist, total length at back 27â�³.